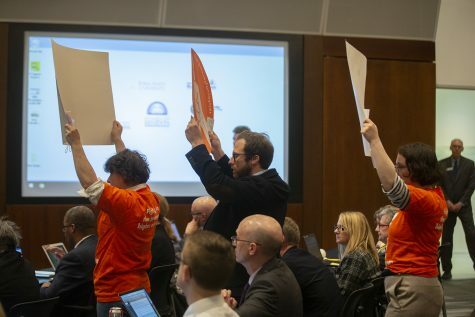 Shared efforts to address the trend of state disinvestment in higher education have been put on hold, it seems for some state legislators. 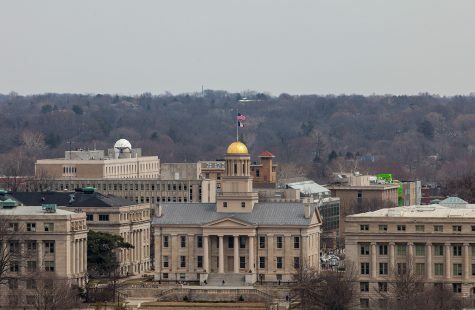 On Monday, the state Board of Regents canceled the first of four scheduled meetings of its Tuition Task Force that had been set to take place in Des Moines on July 27. 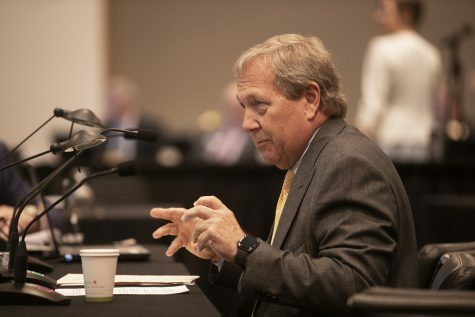 Former Regent President Bruce Rastetter hinted at the task force’s formation at the regents’ April meeting. 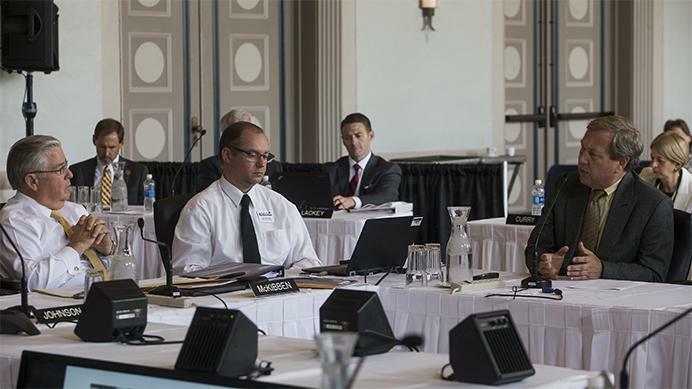 He said the mission of the task force would be to discuss the realities of public support for the regents’ institutions. The key feature of this task force is its involvement of people working both inside and outside academia. It includes regents, university representatives, and the public as well as legislative, economic, and business-development stakeholders. 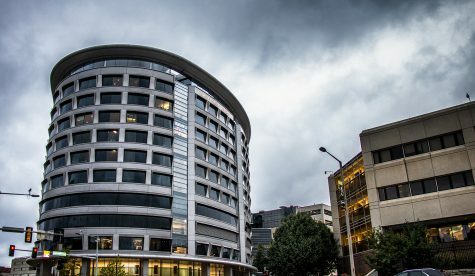 “We think it’s probably important to have a stakeholder meeting this summer as part of this task force … in a bipartisan way to just talk about what the funding is going to be going forward for the public universities so that we can plan on what those numbers will look like going forward from a tuition standpoint if the state isn’t going to be there as a partner,” he said. Sen. Tim Kraayenbrink, R-Fort Dodge, the chair of the education appropriations subcommittee in the state Legislature, said with his experience as a financial adviser, bringing these stakeholders into the discussion about higher-education funding is important. 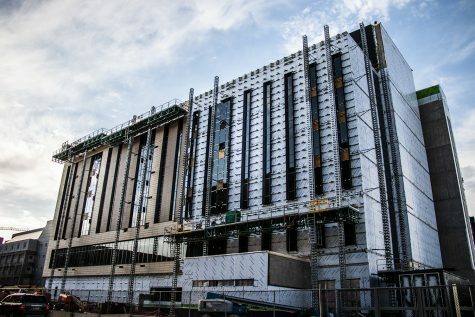 While the regents have voiced concern about the lack of predictability in higher-education funding, Kraayenbrink said the state, too, would like more predictability in the revenue it receives to fund education and other services and programs. This would enable the Legislature to commit to a dollar value after knowing the actual outlook for revenue. Until that can happen, he sees the continuation of tuition increases being an “it is what it is” situation. 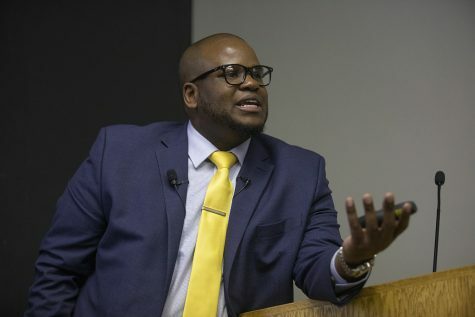 “If you’re going to run an institution that people are raising incomes and things keep costing more to run an institution and the funding … decreases from the Legislature, that money has to come from somewhere,” he said. Beth Townsend, the director of Iowa Workforce Development, was supposed to present at the canceled meeting. The organization’s communications director, Cory Kelly, declined to comment. Rep. Cindy Winckler, D-Davenport, was scheduled to present at the canceled task-force meeting. 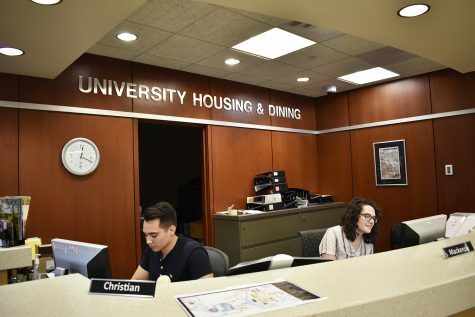 She said the current process of forming the budget in which university presidents give presentations to the education appropriations subcommittee has not been effective. For the sake of students and businesses that are looking for high-quality, highly educated workers, the state needs to be more serious about the role it can play in funding higher education, she said. 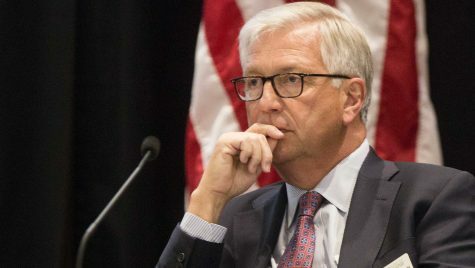 Sen. Herman Quirmbach, D-Ames, a ranking member of the Senate Education Committee who would have presented at the first task-force meeting, said he planned to emphasize the reversal in universities’ funding in recent decades. 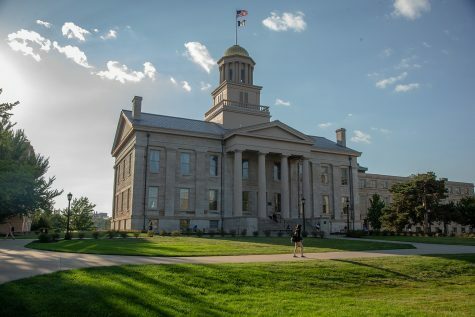 Data provided to The Daily Iowan by the UI Office of Finance and Operations in December 2016 revealed that in fiscal 2001, state appropriations composed 61.58 percent of the UI’s budget, and tuition revenue made up 30.32 percent of the budget. Since then, the data showed, less of the budget has come from tax dollars. In fiscal 2017, 31.55 percent was from state appropriations, and tuition revenue contributed to 62.47 percent of the budget. 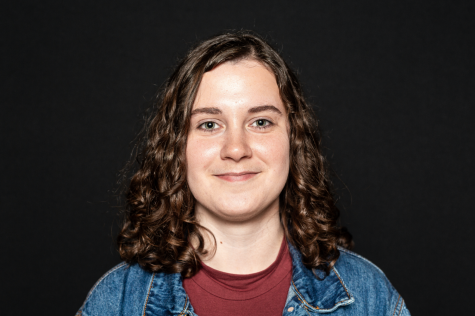 Quirmbach said these meetings should occur when students and faculty are on campus to provide input, and he does not approve of the decision to not reschedule the meeting with stakeholders outside of academia. “It doesn’t look to me like they’re all that seriously interested in getting feedback from the people who are most directly affected,” he said.